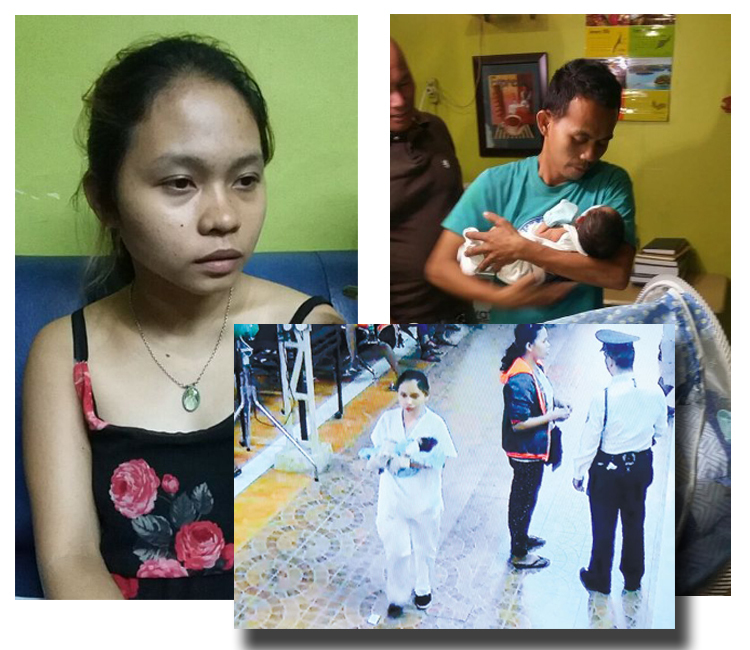 Last Monday, a lady dressed as a Nurse took a 2-day old baby boy who was scheduled for vaccination in Vicente Sotto Memorial Medical Center (VSMMC). Earlier today, the incident was reported in National Television (ABS-CBN) and the Hospital is willing to give a PHP 100,000 reward to those who can find the baby and the suspect. On Tuesday night, the suspected kidnapper was found in Sitio Fatima, Barangay Lahug, Cebu City. As reported by Cebu Daily News, the kidnapper, Melissa Londres is a Call Center Agent who claimed that she gave birth to the said baby. But the father, Jonathan Celadenia, confirmed the baby is his son. [Right] Melissa Londres. 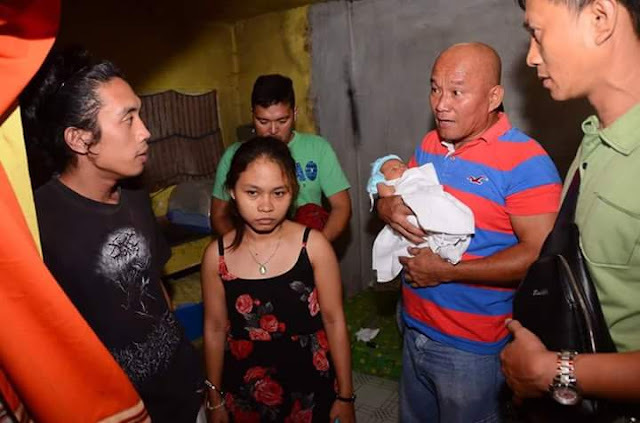 [Left] father of the abducted baby boy, Jonathan Celadenia. Melissa Londres together with his boyfriend, Philip Wilfred Almeria were arrested the Criminal Investigation and Detection Group (CIDG). See below footage of the CCTV (Posted in Facebook) of the hospital during the Stealing of the 2-day Old Baby. Does she have any mental problems?